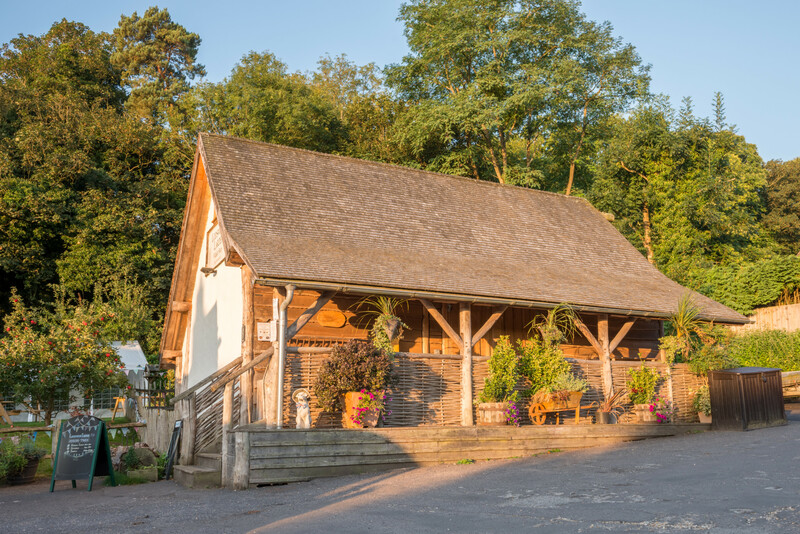 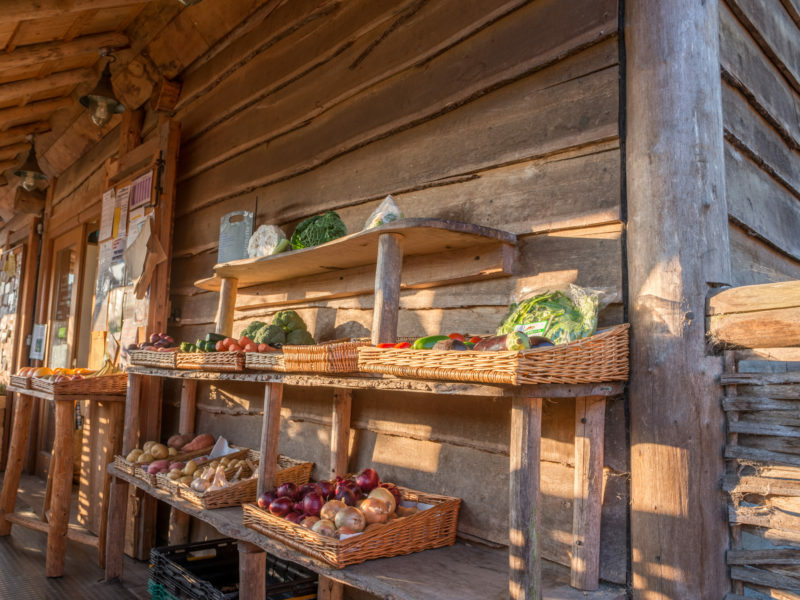 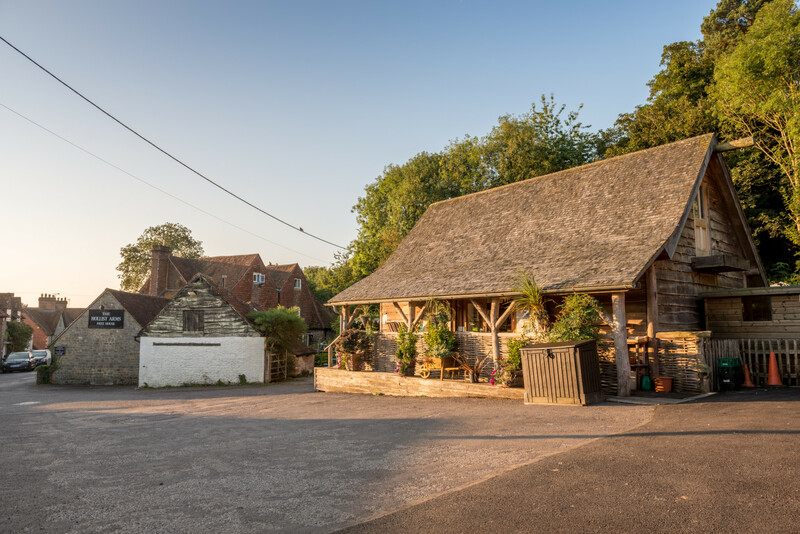 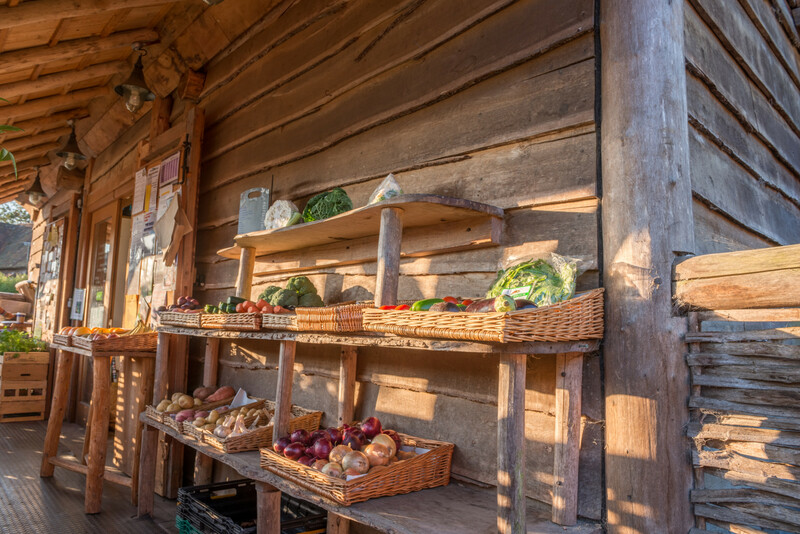 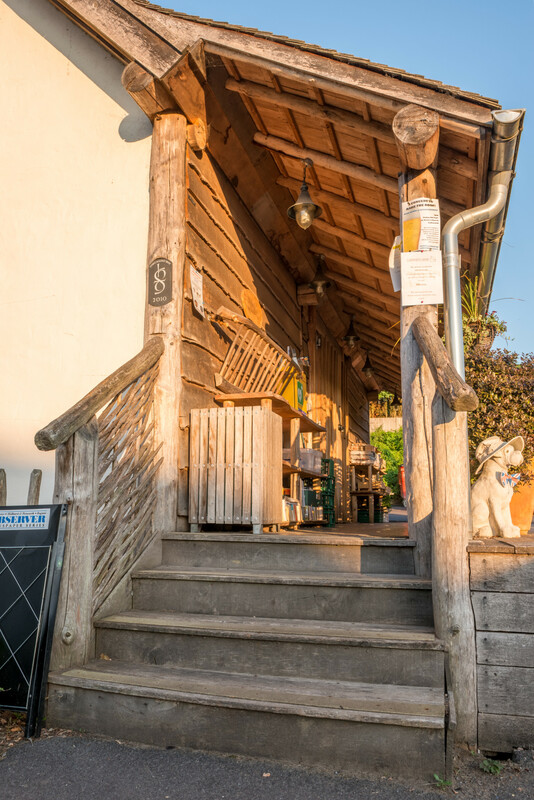 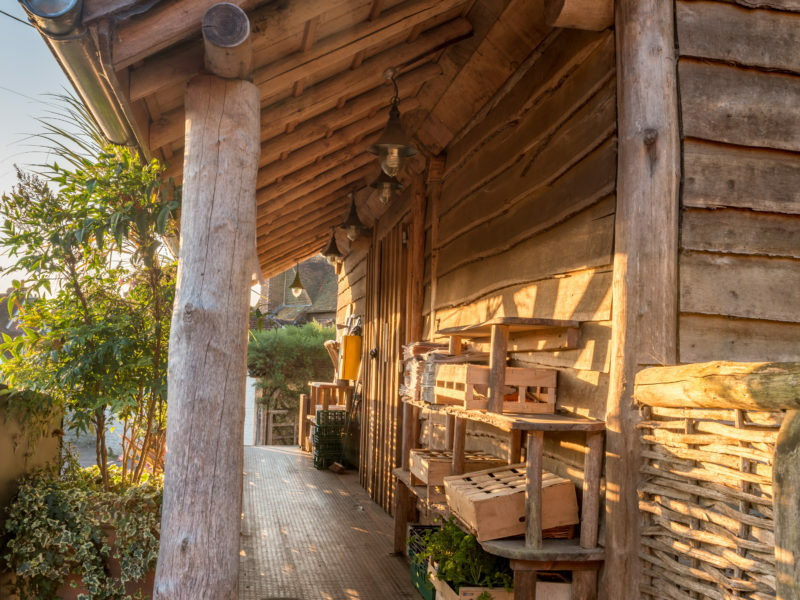 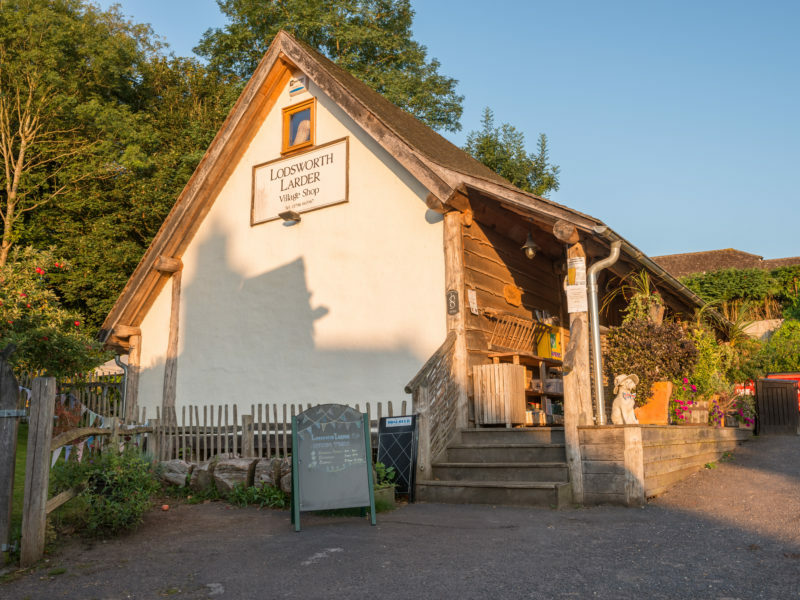 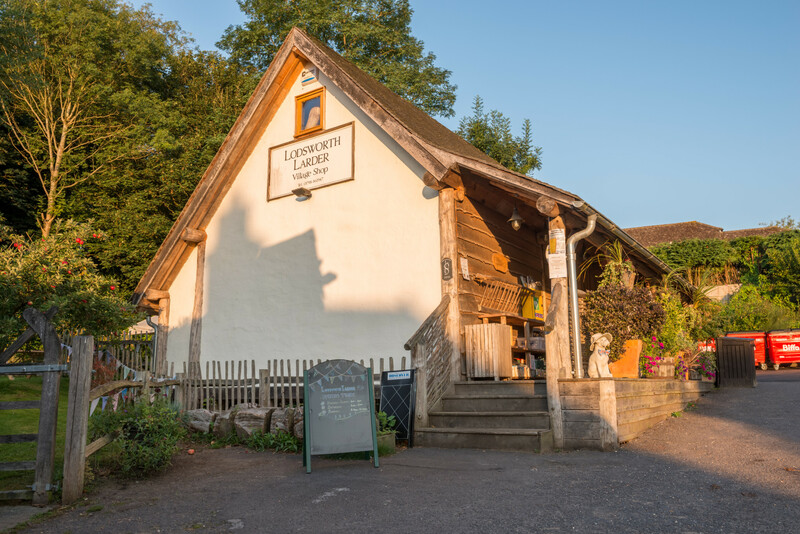 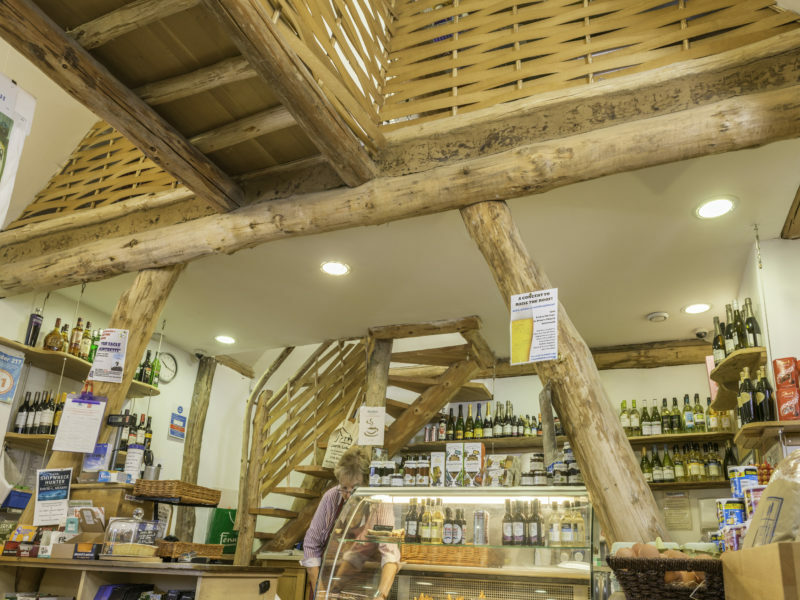 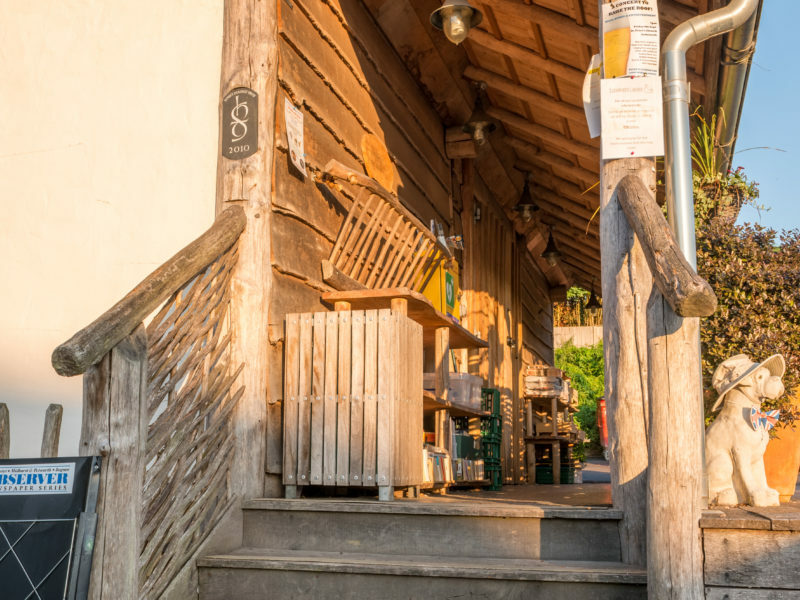 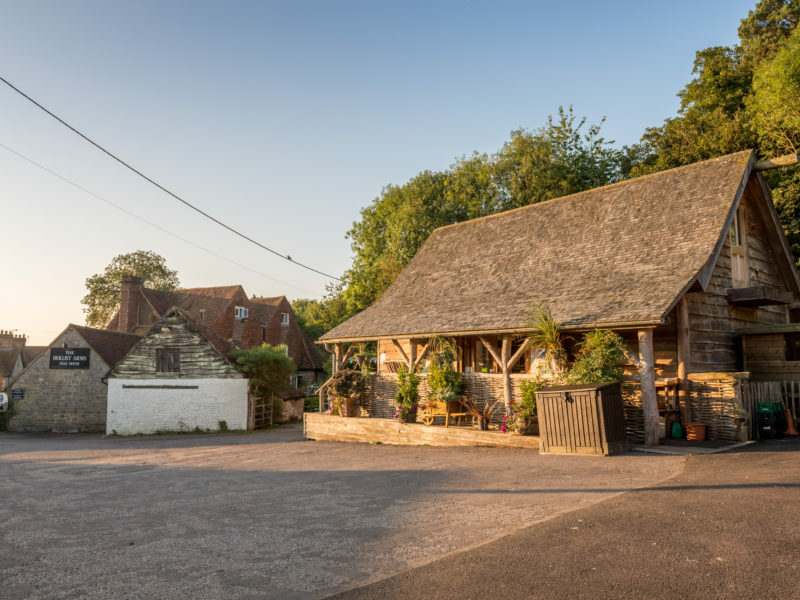 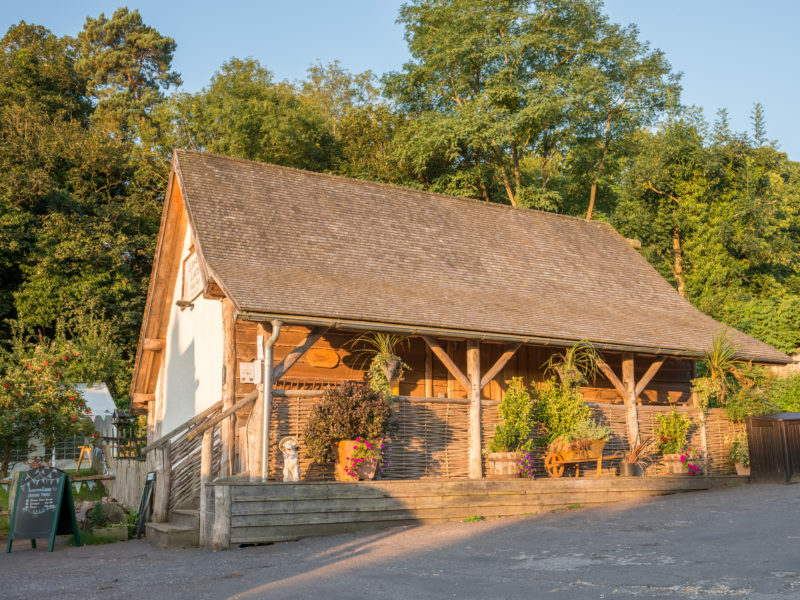 This multi-award winning community shop was designed in association with Ben Law, the woodsman whose woodland house is many peoples’ favourite “Grand Design”. 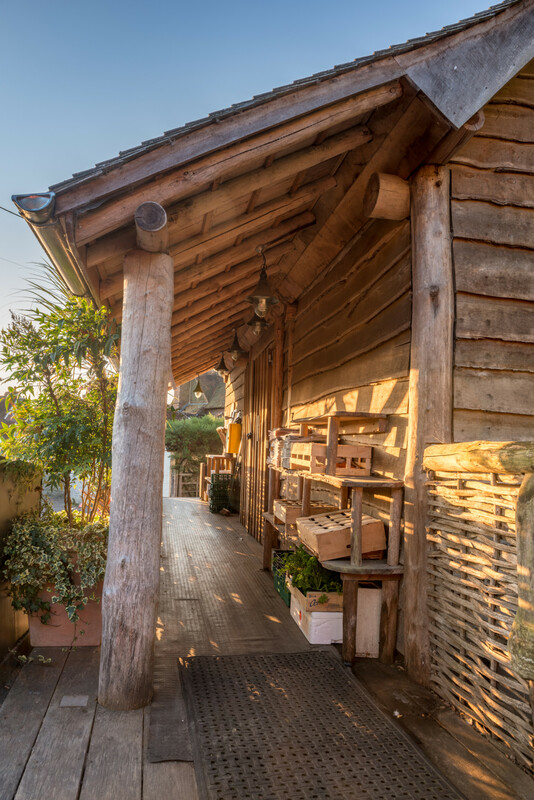 Most of the timber was felled and converted within the parish, including roundwood poles, oak flooring and oak cladding. 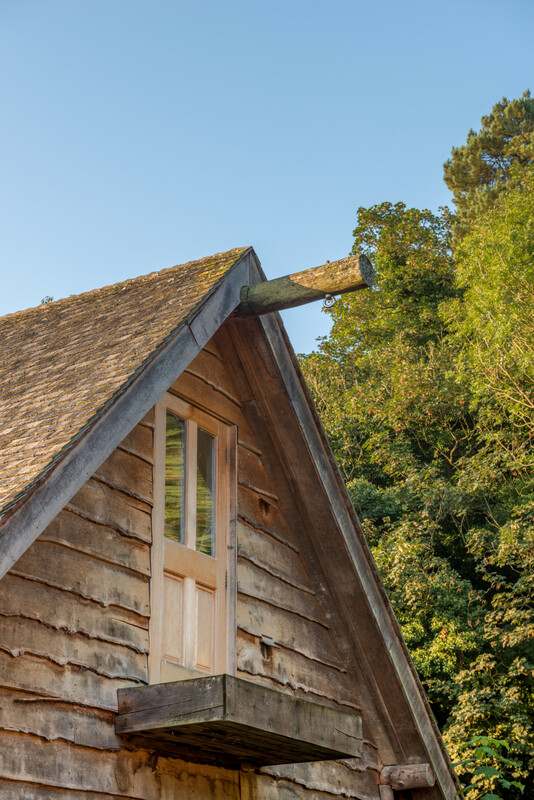 The cedar shingles for the roof had the longest journey travelling a full eight miles. 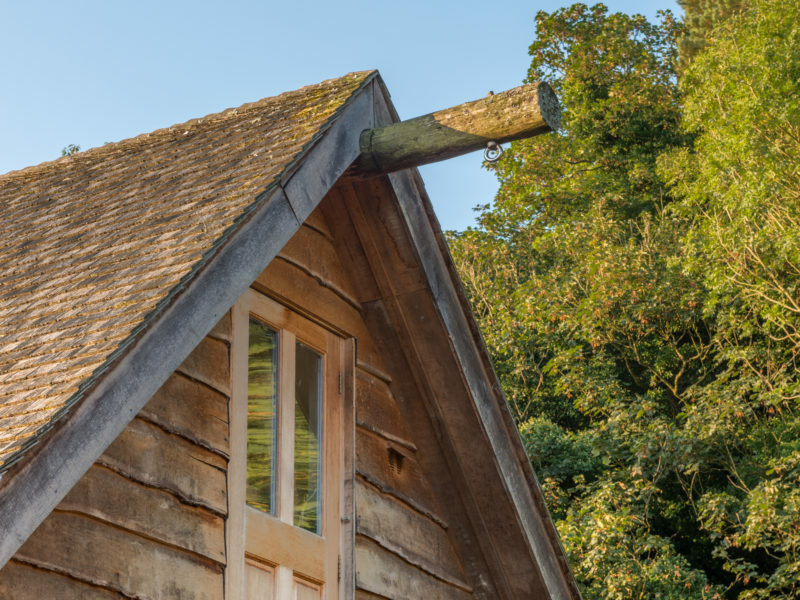 No cement or concrete was used in the construction and only natural sheep wool insulation. 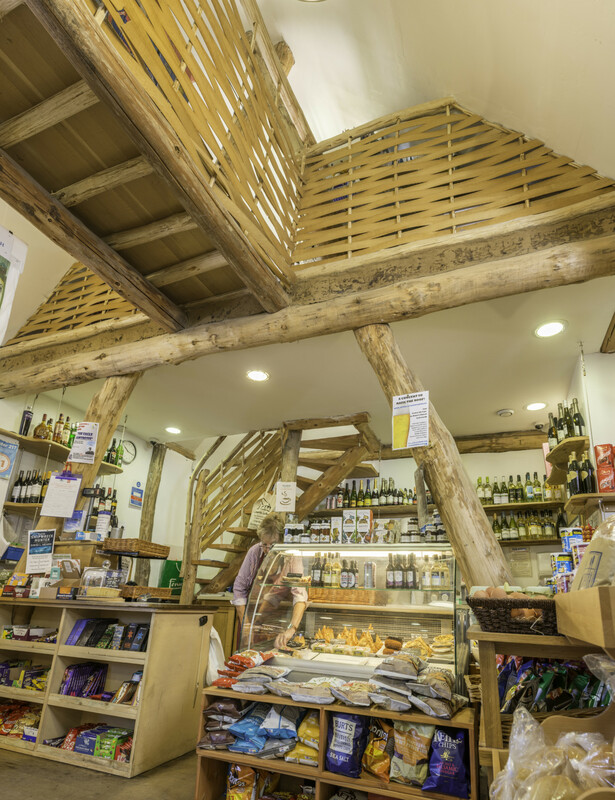 Although small this is a thriving shop, supported by volunteers and providing a much valued service to a small rural community.